24 hours to go. 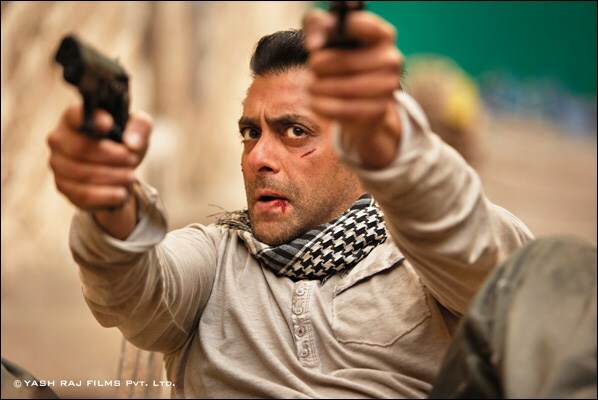 Are you really waiting for “Ek Tha Tiger“. Its getting an overwhelming response, the movie has already collected around 25 crores from pre-release advance booking. More than 60% of the first two days shows are already booked and it is surely gonna be a biggest opening at the Box office. This type of response was last seen for “Dhoom 2” but the Tiger seems to be bigger and better. Expecting first day collections would be around 30 crores. It can possibly set a new benchmark , 100 crore seems a formality for this one. Day 3 : 20 crores. Day 4 : 23 crores. Day 5 : 25 crores. Lifetime collections of the movie would be around 180 crores at Indian Box Office. The movie is gonna be a biggest blockbuster of Bollywood.